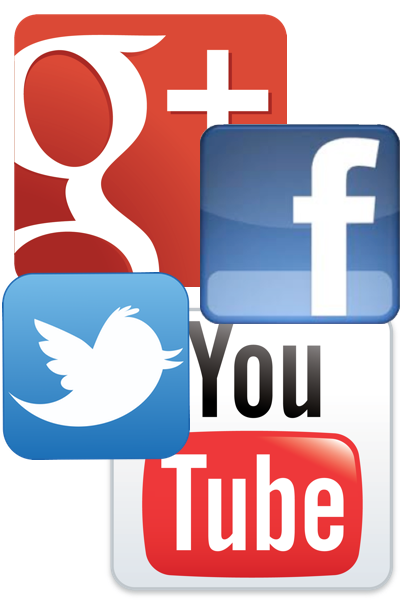 Both are forms Social Media Integration and we deal with them in this video. We may simply decide to run to several social portals and sign-up for our business pages. This is not really the right way to approach this issue. First, you should go to a number of review sites and see where your visitors are. Find reviews of your company by using your favorite search engine by really digging several pages down. Don’t simply sign-up for Twitter because some political person uses it. Each platform has a niche and you should match your company to the correct portal. This is covered in more detail in the lecture video. The other use for the term Social Media Integration is how do you add buttons, Tweets, and posts to your site. The important take-away for this use of the term is not to splash these icons all over your Home page. You have spent time and money getting visitors here, don’t send them off to Facebook. There are Tweet & Like (et al) buttons that allow prospects to Like your page without leaving the website. You sell on your website, not your Facebook page! You are in business to make money, not send customers to LinkedIn. For an example of this, see our Home Page; you can Like, Share, and Follow, but there is no button to leave. If you want to add links to your social pages, add them to the very bottom of your website page (a link away from your site is not the same as a Like button). Why? Less than ten percent of the visitors to your Home page will actually scroll all the way to the bottom. If someone is specifically looking for your social pages, then he will scroll down. Don’t help them leave.